The craze for 2S power whoops is rising! 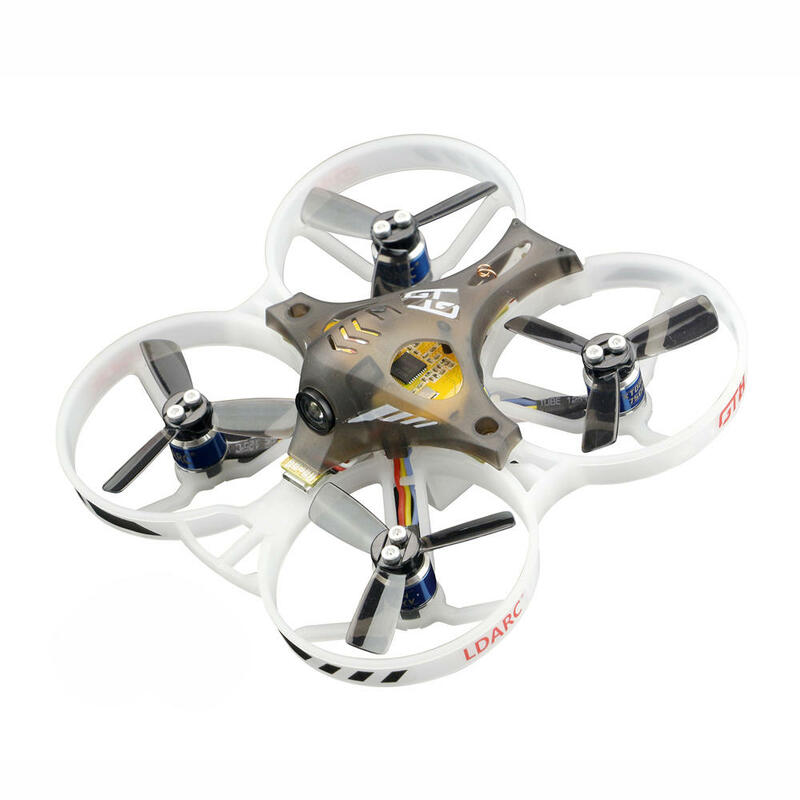 LDARC (former KingKong) has announced TINY GT7 and TINY GT8 2S brushless whoops. 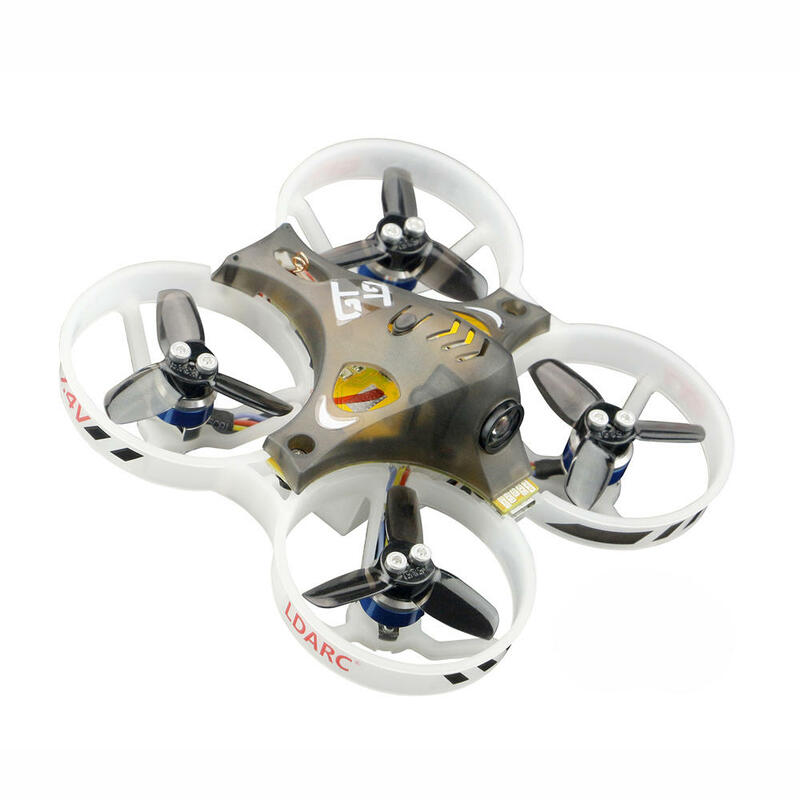 They are the upgraded brushless versions of the Tiny7x and Tiny8x whoops. 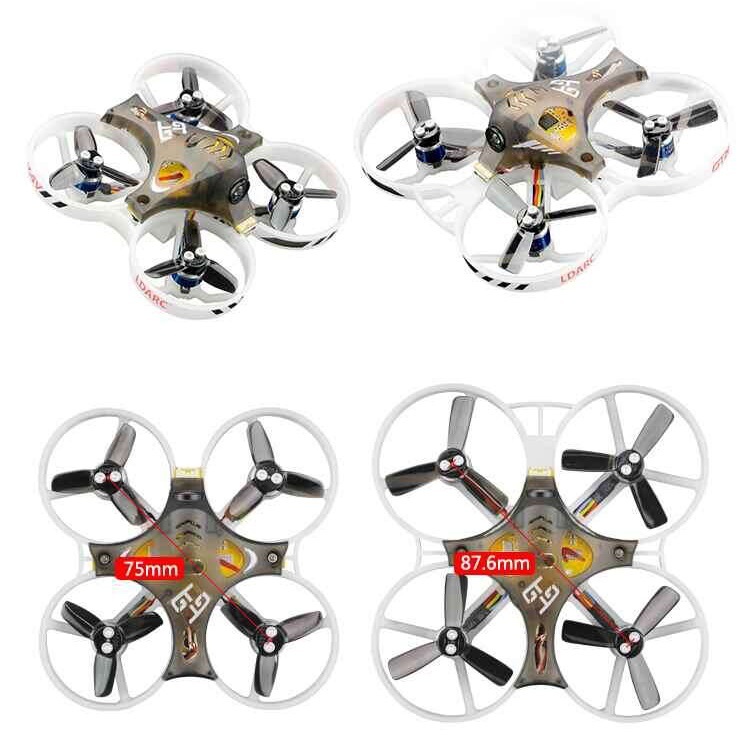 TINY GT7 has 75mm sized frame, new brushless XT0803 sized 9000KV motors and new 1535 propellers, while TINY GT8 has 87mm sied frame, new XT0804 7500KV brushless motors and also new 1935 propellers. There are already debates on the realtive low KV ratings of these motors. TINT GT7 weighs 40.5 grams without battery and receiver. 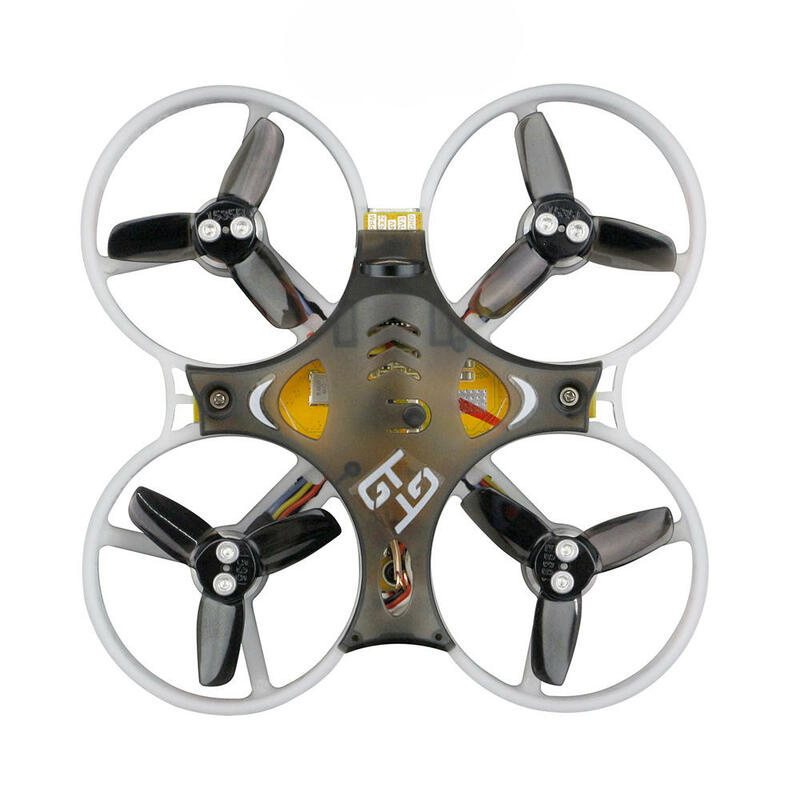 The TINY GT8 weights 47.8 grams without battery and receiver. 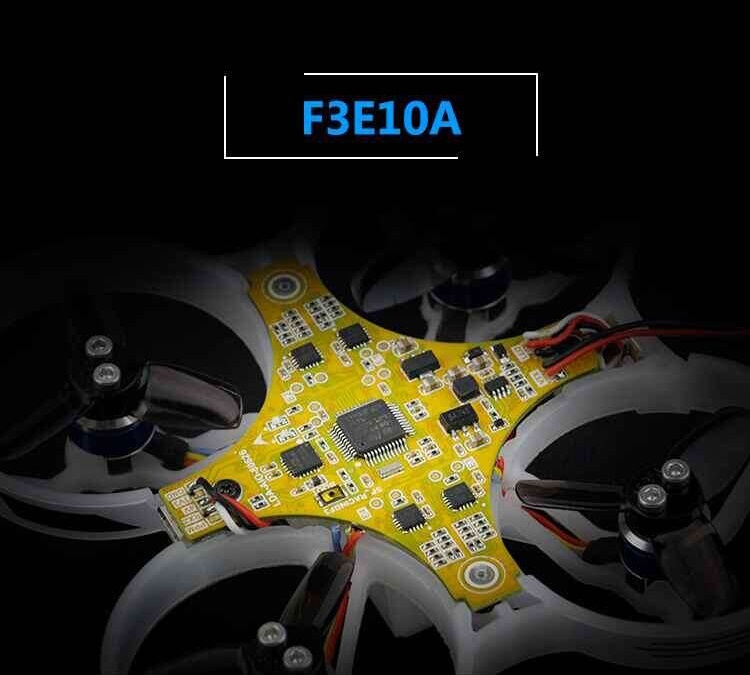 The heart of these brushless whoops is SPRacing F3 based flight controller with 10A ESC’s. The 0804 motors have all ball bearings, while 0803 motors have one ball bearing and one copper sleeve bearing. 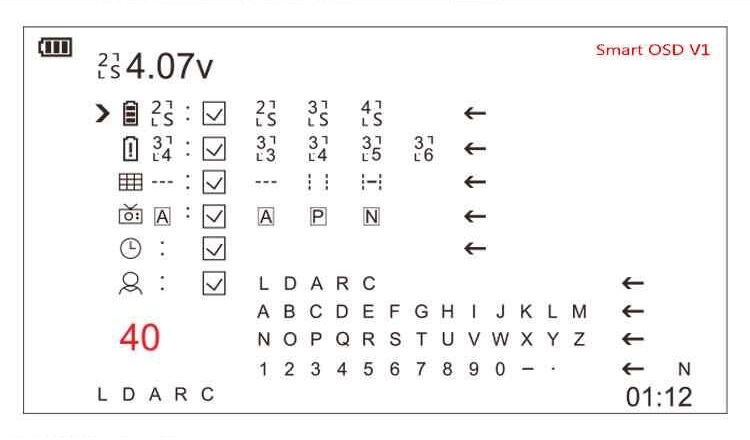 Unfortunately there is no Betaflight OSD on the main board, so KingKong/LDARC decided to add the custom OSD to the VTX board. Camera is the same OV231 camera from the ET series big whoops with a dissapointingly small angle of 10 percent.